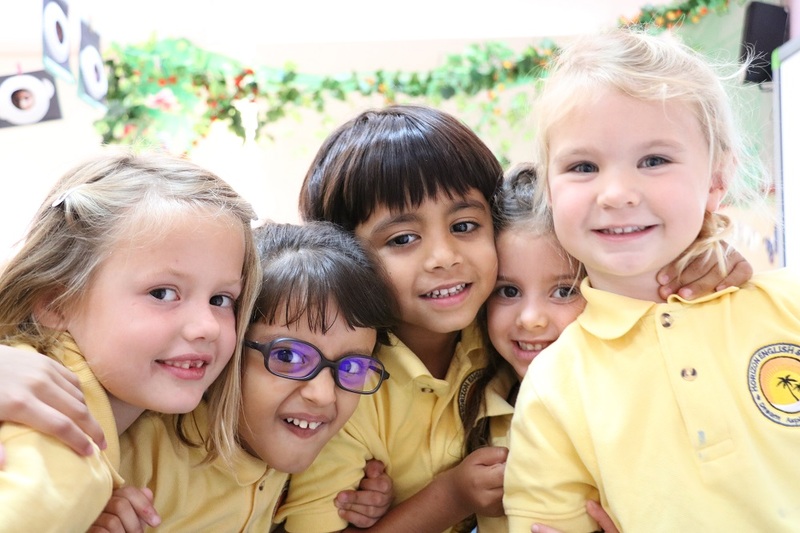 We believe that every parent, with a child at our school, is automatically part of our ‘Friends of Horizon’ group – it’s simply up to the individual how involved they want to be. ‘Friends of Horizon’ is a parent-led group that plans and manages events in and around the school. The group has two main remits – organizing inclusive social events for parents and students, and fundraising. Through creative events like coin snakes, chocolate sales and bake offs, Friends of Horizon raises money to fund the Year Six Leavers’ Party as well as providing the funds for educational supplements, like our school’s brightly coloured benches, stair stickers and all the sensory items in the school counsellor’s room. Often when working towards a larger purchase (like our shaded seating by the sports pitches) the school will match the funds FOH raises. 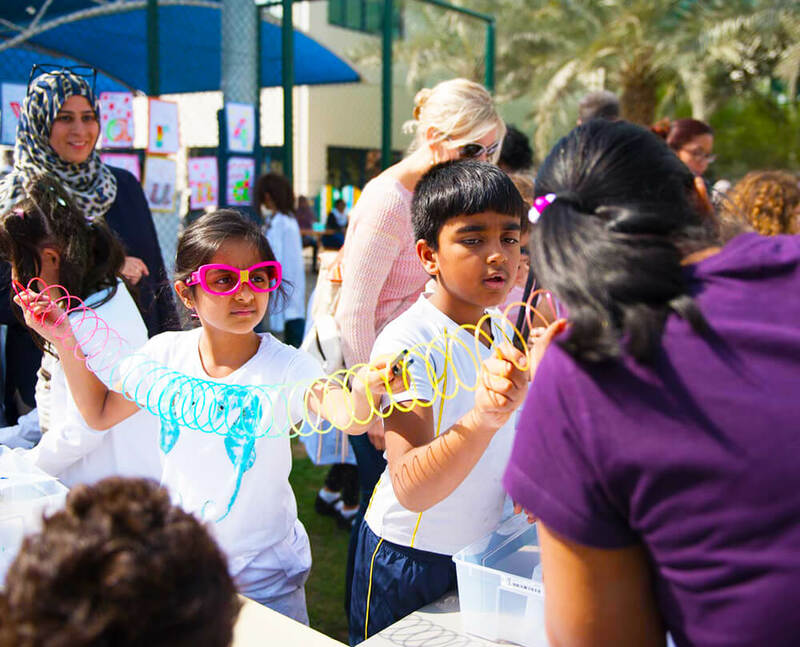 FOH also works with Dubai Cares and the Christina Noble Children’s Foundation to provide educational resources for under-privileged children in other countries. On the social side of things, FOH holds a monthly coffee morning for interested parents, and puts together beach and park events for students and their parents every term. They are the team behind our hugely successful International Day, Carols by Candlelight and Autumn Festival events. They are also responsible for organizing our parental workshop programme and run an extensive calendar of evening events for adults, ranging from movie nights to balls and barbeques. FOH has its own central committee and is always looking for enthusiastic volunteers, either at committee level or in other capacities. We are an incredibly well-equipped school,with several large meeting rooms in addition to our two swimming pools, flood-lit sports pitch, tennis courts and sports hall. We have several partners within our community and our facilities are available to rent after school hours. Please contact David Tangney davidtangney@horizonschooldubai.com for more details. We are an incredibly well-equipped school with several large meeting rooms in addition to our two swimming pools, flood-lit sports pitch, tennis courts and sports hall. We have several partners within our community and our facilities are available to rent after school hours. 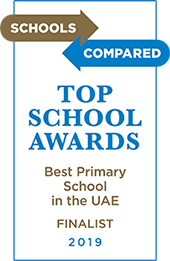 Please contact David Tangney davidtangney@horizonschooldubai.com for more details.